It’s March and that can only mean two things. First, it’s officially spring cleaning time. Second (and decidedly more fun), Spring Break is coming! Whether the idea of cleaning, sprucing and organizing fills you with glee or with dread – I’ve got two awesome offerings today to help you get it done quickly AND to enjoy all the extra free time with the kids. 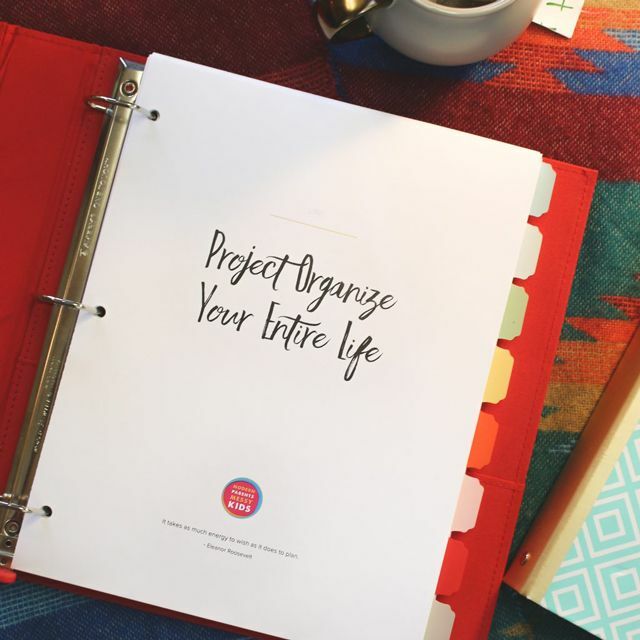 First on the list, MJ is here with a free “Project Organize Your ENTIRE Life” printable: our 4 week Spring Clean Challenge! It’s a great reminder of all the cleaning and organizing tasks that are a good idea to tackle once every 3 months or so. And the layout will help you to get it all done without getting overwhelmed. Second, we’re offering a new, limited time, “Save Your Spring” Bundle on our most popular PDF products – get $6 off when you buy them together! 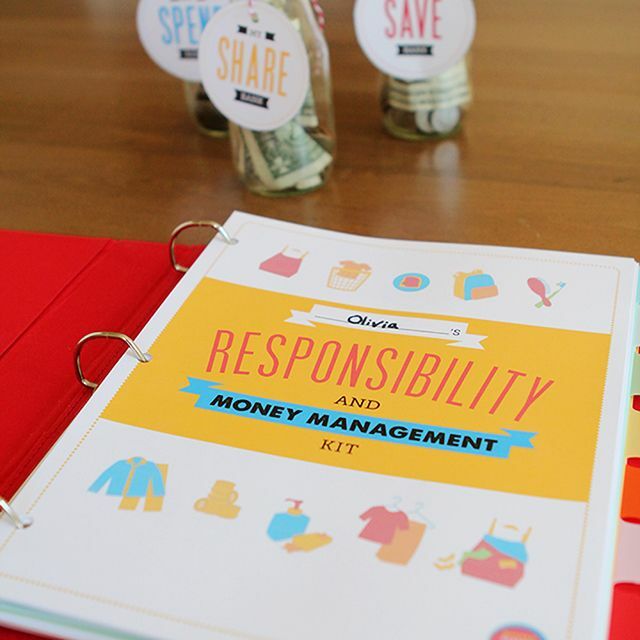 The Kids Responsibilities & Money Management Pack PDF – routine charts, chore charts, allowance ledgers and more! Bought separately, these PDFs would be $23.97 but for a limited time you can get them all for only $17.97. Our 2015 daily/weekly/monthly planners, cleaning schedules, meal planners, kids’ routine charts, budgeting sheets and more are all designed with you in mind. Buy the “Save Your Spring” Bundle Pack Now! But I also heard from you guys that you would like some handy-dandy printables to go along with your newly-formed action plans. So last year I worked really hard to make that wish a reality. 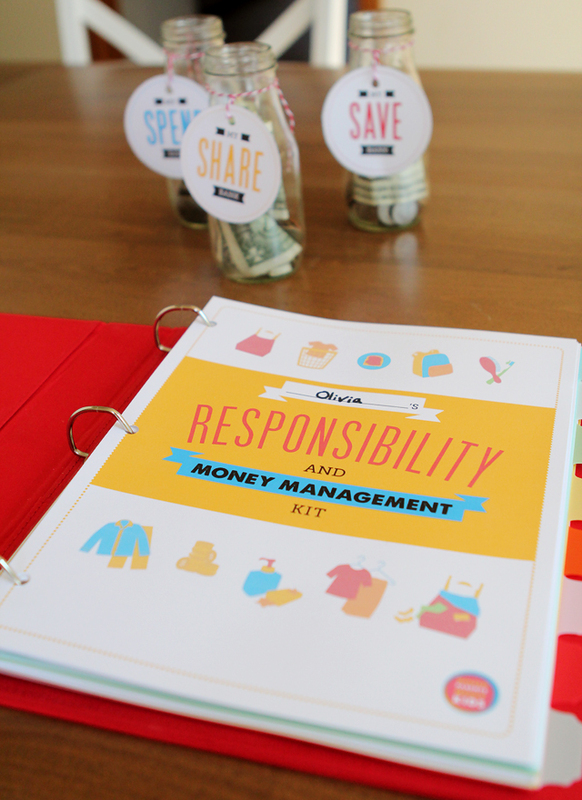 And now, I’m happy to announce, the 2015 printables are here! 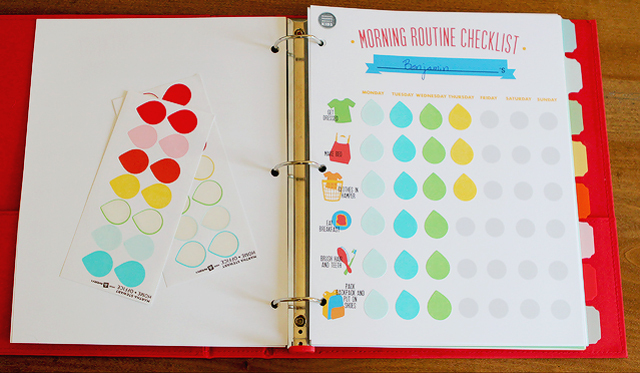 Inside our 38 page printables pack, you’ll find everything you need to manage every aspect of your day-to-day life from cleaning and meal-planning, to scheduling and that never ending to-do list. There are tons of options in this 38 page printable pack – use them all or pick and choose exactly what you need. There’s even a suggested daily cleaning checklist, weekly cleaning schedule, and master cleaning list included. A simple one page form that breaks your day up into easily manageable chunks. There are check-off boxes (for that sense of satisfaction when you complete a task) as well as designated areas for the day’s menu ideas and appointments. This one is a great candidate for laminating and using over and over with a fine-tip dry erase marker. Conveniently spread across two vertical pages, this gives you a spot to record all of your appointments for the week along with any special reminders you need to leave for yourself in the “notes” section. There are also spots for your dinner plans and cleaning objectives for each day. It’s everything you want to accomplish in your week all in one spot. *Printing Note: Since you won’t need both the “Weekly Cleaning” worksheet and the “Weekly Cleaning Checklist” – the intention is to choose one or the other and this must be done for double-sided printing to turn out correctly. When printing, in the pages box, either enter “1 – 6, 8 – 38″ OR“1 – 5, 7 – 38″. Along with squaring away your everyday and your week, it’s always helpful to get a look at your month as well so we’ve included pre-dated calendars for each month in 2015. Like the weekly calendar, these are spread out over two vertical pages (no turning to view required). Finally, to be kept as a reference in the back of your planner, we’ve included a Master Cleaning List with columns to categorize chores into “daily”, “weekly”, “bi-weekly”, “monthly”, “quarterly” and “semi-annual” tasks. Just like with the Weekly Cleaning Schedule and the Weekly Cleaning Checklist, you’ll also receive a suggested list of chores for each of the categories mentioned above along with the blank template. Remember, when you purchase the printables pack, you will receive all 38 pages (including the cheerful cover) in BOTH the 8.5″ x 11″ and the 5.5″ x 8.5″ sizes, all for one low price! You can print the pages to be used individually. Or you can choose the duplex/double-sided printing option on your printer (or at a local printing store) and pop everything into a binder or small personal planner – see note below on double-sided printing. If you really want to get fancy, you can even invest in a discbound puncher (affiliate link) and use the 5.5″ x 8.5″ size with a planner like these Martha Stewart versions. We’ve left the spots on these sheets empty so that you can once again sit down with your child anddecide together what their family jobs should be. This will really drive home the idea that the family works together and everyone in the family needs to contribute. It will also give your child a sense of ownership of his or her tasks. Spring is quickly approaching, and I’m so ready for it! Ready for all of it . . . except the cleaning. Every year it seems that spring cleaning sneaks up on me. How is that possible? My fingerprinted windows and splattered oven should be clear hints that it’s time to get a move on. Perhaps it’s that I try to do these big cleaning projects all at once and all in one weekend that makes me dread spring cleaning. Putting off these bigger tasks and trying to get them all done at the same time feels overwhelming! This year I’m trying something new. I’ve decided to break these tasks out over a series of weeks to make sure that I get to each task and to make it all seem more approachable. Putting the spring cleaning calendar in front of me, I can check off tasks as I complete them and feel a sense of accomplishment. It also gives me time to gather the necessary supplies and potential helpers (!) that I need to get it all done. I can post this calendar by our family schedule so that everyone knows that needs to be accomplished. And we can also add our smaller weekly cleaning jobs to this calendar, too, on the off days from spring cleaning. This is the year the house gets clean, top to bottom. I’m checking it off my list! A clear to do list sounds like the best way to start off spring.